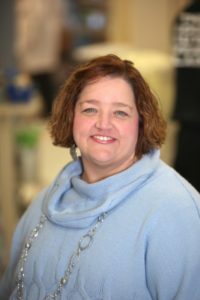 Sondra Blount, Staff Nurse at Vanderbilt University Medical Center in Nashville, has been recognized as a “Leader in Nursing” among “America’s Best Nurses” for 2017. She will be sharing her knowledge and expertise in the areas of Patient Care, Trauma, and Radiology. Ms. Blount has been active in the healthcare industry for the past 22 years. Her desire to help others and be a service within her community led her to a career in Nursing. She received her BSN/RN degree from the University of North Alabama in 1992. In her 22 years of healthcare experience, Ms. Blount has held a Staff Nurse position at Vanderbilt University Medical Center. She worked in the Department of Trauma for 19 years and for the past 3 years, has worked in the Department of Radiology. Her day-to-day responsibilities include oversight of management and operation of the Radiology Department and training and mentoring of fellow nurses. Ms. Blount attributes her success to her extensive involvement in the area of Trauma Medicine. She has received the Vanderbilt University Medical Center Radiology Nurse of the Year Award (2015), the Credo Award (2012), and the Staff Nurse of the Year Award (2012). Out of all her accomplishments, Ms. Blount is most proud of having created the Workplace Violence Prevention Task Force. Her goals within the next 5 years include returning to school to pursue an Advanced Nursing Degree. She is a member of the American Nurses Association, American Association of Critical Care Nurses, and Association of Radiology Nurses. During her free time, she enjoys traveling.